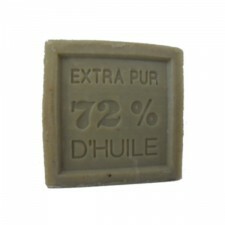 Discover our real and natural olive oil Savon de Marseille, 72 % extra pure. This bar of soap is made using hot saponification method with olive oil. Without EDTA or BHT The Savon de Marseille is a very soft multi purpose soap : traditionally used for the skin, hair and as well as a household cleaner or a lye. Real and traditional Savon de Marseille obtained by saponification in cauldron. Natural Savon de Marseille with olive oil, solvent and dye free, very gentle for skin.